Are you searching for a new or used Jeep Wrangler or Wrangler Unlimited in the northeastern part of Oklahoma? Come see the award-winning Jeep at Vance Chrysler Dodge Ram Jeep in Miami, Oklahoma. We are the premier dealer in this part of the state. You can count on the commitment of Vance Auto Group to help you. We have been faithfully serving our Oklahoma neighbors for over thirty years. 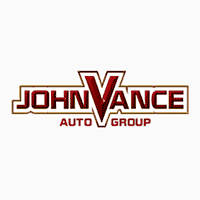 Did you realize Vance Auto Group has nine full service dealerships serving Oklahoma? That means a lot of choices of new and used vehicles for you to choose from including one of amazing Jeeps. The spirit of Jeep lives on as an icon for the adventurous spirit. Fun and freedom go hand in hand in the 2019 Jeep Wrangler as it incorporates classic Jeep Brand vehicle design and engineering to bring you all-weather capability and off-road prowess. With its removable top and door, you get the true open-air experience. With a Jeep Wrangler, you can go off-road on great adventures or ride in the city in comfort. You get the best of both worlds. The 2019 Jeep Wrangler has over 75 standard and available safety and security features to help minimize risks as you go in adventures in unchartered territory. These features help keep you and your passengers protected. Now you can explore with confidence no matter where the road leads. Come experience one of our new or used Jeep Wranglers or Wrangler Unlimited at Vance Chrysler Dodge Jeep Ram in Miami, OK. We can’t wait to show you all the features that set the standards so high for Jeep lovers.